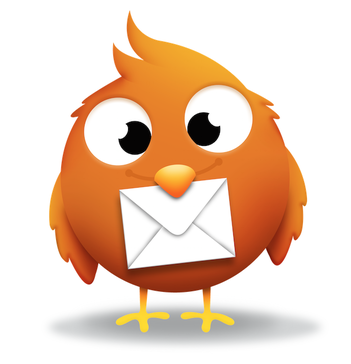 Looking for alternatives to Mailjet? Tons of people want Email Marketing software to help with basic reporting, user, role, and access management, and a/b testing. What's difficult is finding out whether or not the software you choose is right for you. We have compiled a list of Email Marketing software that reviewers voted best overall compared to Mailjet. Based on reviewer data you can see how Mailjet stacks up to the competition, check reviews from current & previous users, and find the best fit for your business. "The solution for email marketing campaigns in websites. : I really love this platform, it is the perfect solution to design email marketing campaigns, I like that the emails have a very professional design, I can modify them completely to my liking, besides I can add unique features to improve the optimization. This company shows me very complete statistics of the emails sent, allows me to see if the clients opened the emails, did some action, if the email was not read and much more. It also allows me to complement all these data by integrating the Google Analytics code. With MailChimp I can make email marketing in my eCommerce in a very professional way, the delivery rate is really high, this has made more people read my emails and I have had an increase in my clients." "Complete and simple email marketing system. : Constant Contact is in my opinion the best online system to create effective email marketing campaigns, it is a very easy to use system because its interface is simple, clean and intuitive. With Constant Contact we can create email marketing campaigns in a very easy way, the system gives us options to guide us in an appropriate way, it also has templates with attractive designs that we can edit and adapt. It is very easy to segment our subscriber lists to direct our campaigns to different target audiences, we can also analyze the statistics of our campaigns easily and verify the percentages of openings, bounces and clicks. Constant Contact makes it easier for us to increase our contact lists because we can incorporate forms on our website that allow us to add subscribers." "Top of the class but support is severely lacking: I would like to note that email marketing platforms should be reviewed on 2 different landscapes 1. Marketer 2. Developer. Most of these email applications focus on non-technical end users that are relying on the application to provide the heavy lifting but when you are a dedicated development resource that can build any and everything, your perception of an application is quite different. Salesforce in my opinion allows to satisfy both over any other application that I used and I use quite few. You can use their out of the box solutions and build your campaigns but if you are looking to do more complex or custom items SF can pretty much accommodate it by their data extensions, SQL and Ampscript which is the most powerful of the application that no other can match in that way. Of course all of these platform providers will tell you otherwise." "Marketing automation: It is the solution to the marketing automation of email based on the cloud that increases the opening of email campaigns and subscribers With open gen, the campaigns are sent back to those subscribers who did not open their first campaigns sent in a period of 1 to 10 days with a different issue than the one sent to the beginning. It has many templates with unique style to create marketing campaigns easier with a very attractive professional presentation for subscribers"
" iContact is the best consultant software for email marketing: I like that it allows us to try the software during the first 30 days totally free and without requesting payment methods, apart from contacting the support by phone call and the attention was unique. iContact allows us to create emails quickly in just minutes, with just drag and you can attach guides, forms and images, additionally it is not required to know codes for use, it is a great work tool"
"Campaign Monitor is excellent but expensive for companies with large audiences: I like Campaign Monitor because it allows me to create very attractive newsletters visually, admits to achieve excellent results by sending follow-up emails, they have good personalization and design tools that allow to convince the prospect that the information I have is valuable. Likewise, I can sell information about my brand, training workshops and let me know the schedules, among other important information for our clients. Additionally, it has a catalog of attractive and optimized templates for mobile devices and computers that allow me to work on my follow-up emails with greater ease and convenience, in a few words it is a great tool to satisfy and inform your customers about the benefits of your company "
"AWeber Review: AWeber is a great email autoresponder program. For my individual website, it has allowed me to send automatic emails to everyone who decided to opt into receiving my emails. AWeber is easy to use, and it allows me to maintain contact with my audience. I would probably say the best part of this program is the price for what it does, and how convenient it is to use." "Overall good experience with Emma for three years: I think the best part about Emma is the user-friendly editing tools. It's easy to design a good looking email fit to your organization's brand, and save it as a template for future use. I also like that you can create groups, so your audience can be divided based on different criteria. " "Sendinblue a gem that not everyone knows: After trying several email marketing services, I got to know sendinblue and decided to try it since one of the things I LIKE MORE is its FREE version, usually all the other services offer a pretty low limit of contacts in their free version, but sendinblue is not like that, they offer unlimited contacts in their free version and a limit of 40,000 emails to the MONTH! this is totally incredible !! additional to this, its easy integration with other platforms such as wordpress, blogger, ecommerce programs is very practical and easy to configure, it is a very easy to use service and with incredible quality, in general I love everything but what I have said is what I like the most, the super accessible price, it's easy use and the easy integration"
"In the short time I have been using Zoho I have been very impressed: What I like best about Zoho is it is simple to use and setup and covers all the bases a small company like mine needs to do effective email marketing. The setup can be a bit daunting but the support is very good, I had one small problem which was resolved quickly and professionally. I also like the way the pricing structure is setup you can start with a free to use package which allows you to a reasonable amount of recipients and 2000 email per month, as you grow you move to reasonable priced packages with more features." Save money with Elastic Email's low cost Email Marketing and all in one Email Delivery Service which includes an SMTP Relay, API. ""The most features for the lowest price": "The most features for the lowest price" is what written on the Elastic Email homepage and... it surprisingly delivers. With minimum setup, efforts and resources, Elastic Email allows you to set up an email marketing campaign from the grounds-up. You can do literally everything necessary in Elastic Email for this purpose: Create new templates (and export them into other services if you like), manage subscription lists (even though we use Emailmeform for this, it's nice to have an alternative) and to monitor the campaign results. Elastic Email is a simple and straightforward tool which encompasses how a mass mailing solution should look and feel." "A top-level transactional email platform that's worked well for us: I like being able to send personalized emails with SendGrid Transactional templates. We just provide the name attribute which comes very handy to send emails. For this purpose, I have used SendGrid Python APK. It gives a lot of analytics as well like whether the mail has been opened or clicked or went into spam. Tracking the mail was also super easy from SendGrid." Klaviyo is a marketing automation platform. Powered by data, built for ecommerce and web businesses. "Retro Video Game Sales Increased with Klaviyo: Our video gaming community is fun and exciting to be a part of, while at the same time our email sales, open rates and subscribers have all gone up. Authenticity is a core value of DKOldies and Klaviyo helps us convey this value." VerticalResponse provides email marketing software and services for small and medium businesses in a variety of industries. "User-friendly, great features: The user interface was upgraded a couple of years ago, and now there are many templates that can be customized and saved. The analytics tools are also great. Also, as a non-profit, we get 10,000 FREE e-mail credits every month! " "Excellent Reporting Features: The reporting is by far the best of any email tool I have used, (compared to Mail Chimp, Constant Contact). We are able to review details of contacts opening emails, where they are globally, and the email service provider they use so that we can fine tune our emails to our customers. We've been able to see what times work best for sending, and increase open rates. " "Difficult software: I'm really not a fan of this software, but I will say the color options are phenomenal. The themes are great color schemes and the example text is very visually appealing. However, the examples look better than the finished products. It also fairly easy to manage email lists. Importing new contacts is a simple process and sending emails to our clients is easy." Sendwithus is an email production platform that helps organizations create and change transactional and triggered email faster. "Why Sendwithus is the best: I love the usability both on the frontend and with the api. So much thought has gone into how people actually use the software. The ability to easy copy template id's is a lifesaver. I know it seems small, but it brings the use-ability up to 11. " 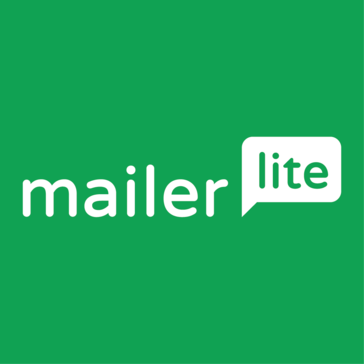 MailerLite is an easy-to-use email marketing tool that enables people of every skill level to create professional-looking campaigns. All the features you need at a value that small businesses appreciate. "My Favorite Email Marketing Tool I've Used: What I like best about Mailerlite is how user-friendly it is. It is incredibly easy to create emails with their drag and drop editor. Creating email sequences is pretty straight forward, as well. Plus there are plenty of tutorials available to walk you through anything you might need help with. I like that it's free for your first 1,000 subscribers so it gives you plenty of time to give it a good test run for yourself. I find that the pricing model for more subscribers is pretty fair. I also really like that landing pages are included at no additional fee. The landing pages are also very simple and easy to create. I've gained 90% of email subscribers with landing pages for free stuff. " "Used to be a free user & came back as a paying one - they totally worth it! : Their SMTP API works great - fast, easy to use & have useful hooks to track failed deliveries & respond to them. Their support were super friendly & useful, helped me solved a small issue pretty fast & I'm super happy to know they didn't just stayed great since 2 years ago that I used them, they even got better, faster & bigger. " "A go-to platform for my agency: TRANSPARENCY - Unlike a lot of marketing platforms, Wishpond actually does what it advertises. The platform is user-friendly and intuitive. And I am always confident that I won't be tricked into over-promised features and delivered value. PRICE - I also like that pricing is so fair & there is no price gouging. I don't feel like I am being ripped off & the easy start-stop payment plans makes it easy to work with shifting client budgets without being on the hook to pay for a platform you aren't utilizing. FLEXIBILITY - I love how customizable the platform is. I can essentially imagine a campaign/workflow and am never nervous that Wishpond won't be able to accommodate. There is a workaround or a feature for just about anything & I appreciate that. SERVICE - No lie, upon contacting "chat" and being connected to Nick, I discovered he was the most informative, helpful Customer Service Desk/Support person I have ever spoken with in my entire life. I am 33. Give him a raise but don't take him away from his job. He's gold. I wish I encountered more people like him when I am in need of support & real answers. Bravo, Nick. And thanks to Wishpond for the great customer service. " Hi there! Would you like help finding solutions similar to Mailjet?